Jessica* first met an advocate from Atlanta Victim Assistance 24 hours after her boyfriend murdered her grandmother, grandfather and her 12 year old son. Together Jessica and her AVA advocate attended the funerals, the arraignment and the trial. Ultimately, her boyfriend was convicted of the murders. During the year that her family’s case passed through the criminal justice system Jessica warned women about the consequence of domestic violence by volunteering as a court advocacy assistant, attending domestic violence support groups and even shared her story at Victim’s Rights Week activities. From victim to victor, Jessica got involved to change lives for women living in violence. A man this successful Buckhead businesswoman dated attacked her not once, but twice nearly throwing her off the balcony of her condo. 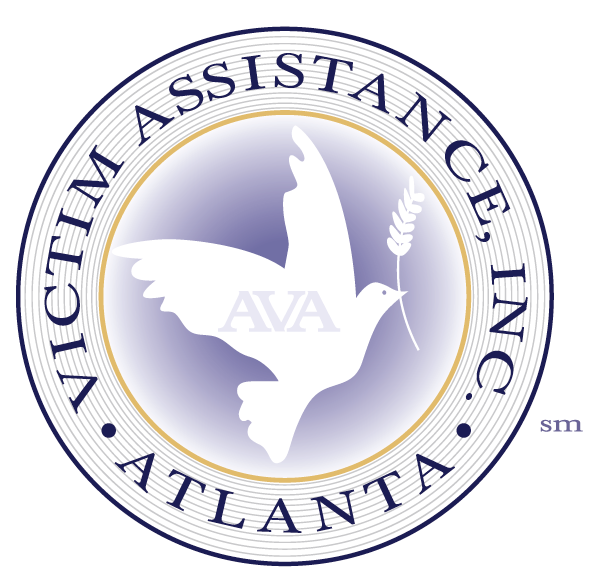 She came to AVA through a survivor’s support group. People are always surprised when they see me and they learn that I experienced such personal violence. They tell me they see me as a strong woman and a pragmatist. I live in a Buckhead high rise where I got attacked by a person I was dating. It was a bad scenario and working with the legal system, at least at first, was a horrible experience both with the first officers to respond to the scene and the attorneys who seemed so desensitized to the violence. It felt like I was being revictimized by the process. It was terrible. Fortunately I had a good personal circle of friends who cried with me and a concierge in my building who intervened and a detective who cared personally that we see this through. And then there was AVA. I went to AVA’s discussion group for people who were in situations like mine on Saturdays. I was so moved by these other women, many of them had much worse experiences than mine. I was moved by how much these women wanted to tell their own stories and share what they had all been through. I don’t like to be labeled as a victim. I think of myself as a survivor and it was because of AVA I was able to move forward. My support system of friends they help, but they have jobs and lives and families. I needed to speak with someone else. It was how I began this journey. This group was a way of sharing personal stories and getting support from others who listened closely and were able to help me overcome a tragedy. We were strangers at first, but in the end all became so close. Sharing my story with these women at AVA was very therapeutic and very helpful. I became so dedicated to it that I would look forward to those meetings and what would come next to help me move forward. It’s very empowering. I owe it to AVA that helped me move on from this situation and to move forward. They are a true force for good that helped me through a real emotional rollercoaster. I don’t like to be labeled as a victim. I think of myself as a survivor and it was because of AVA I was able to move forward. The women met through AVA were inspiring strong women. It was a profound experience to share my story with others who understood what this experience was like. My brother stole my identity and started using it in New Orleans where I live and then when he moved to Georgia he started using it there. That’s when I started getting letters in the mail about tickets and court dates since he got caught for two theft charges. With my job and my life here in Orleans I was trying to figure out how to get it settled. There was no way I could go all the way to Atlanta where the courts would squeeze every penny out of me and coming up all the way from Oreleans there would be the expense of travel and hotel and I’d miss work. So I started calling people in the DA’s office in Atlanta to figure out what I could do and someone referred me to the victim’s assistance program. Connecting with Wanita, she told me she could help. My wife told me she couldn’t believe AVA could really help, but they did. It was awesome. She was so nice and so experienced and the group helped me over the phone so I wouldn’t have to come all the way up to Atlanta. AVA really did help and really did give me peace of mind. She told me exactly the steps I needed to take. I sent them a copy of my handwriting and a picture ID and a letter from my job showing that I worked on the date it actually happened. I was able to fax that information along with other papers showing that he used my name before and it worked. The courts were able to show that my handwriting was different from his and they got everything straightened out for me. I still carry that paperwork AVA helped me get with me, especially when I’m driving just in case to show that I’m a victim of id theft, but those letters I kept getting in the mail finally stopped and it was all because of AVA. AVA is definitely a good resource, really they are awesome and get a tip of my hat, they really did help and really did give me peace of mind. They were awesome.